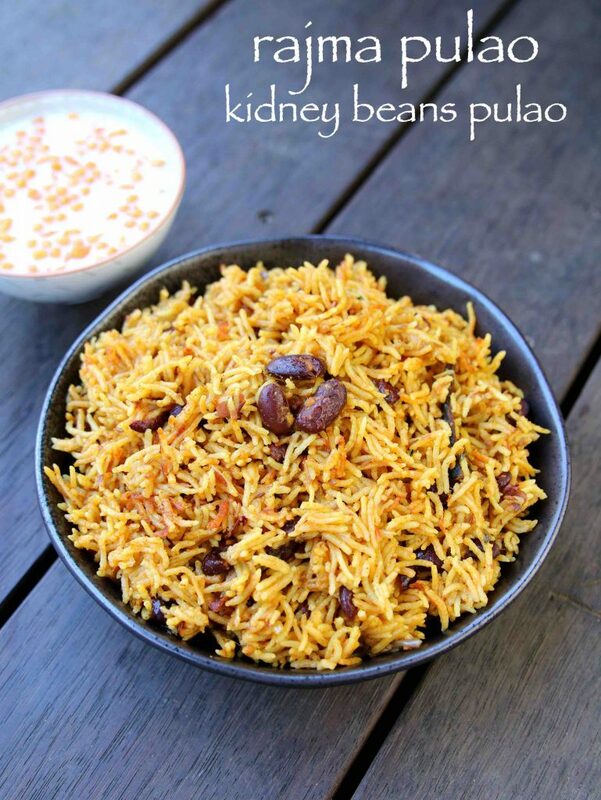 rajma pulao recipe | kidney beans pulao | rajma beans pulao with detailed photo and video recipe. a healthy, nutritional, protein packed pulao rice recipe, prepared with rajma beans and other spices. 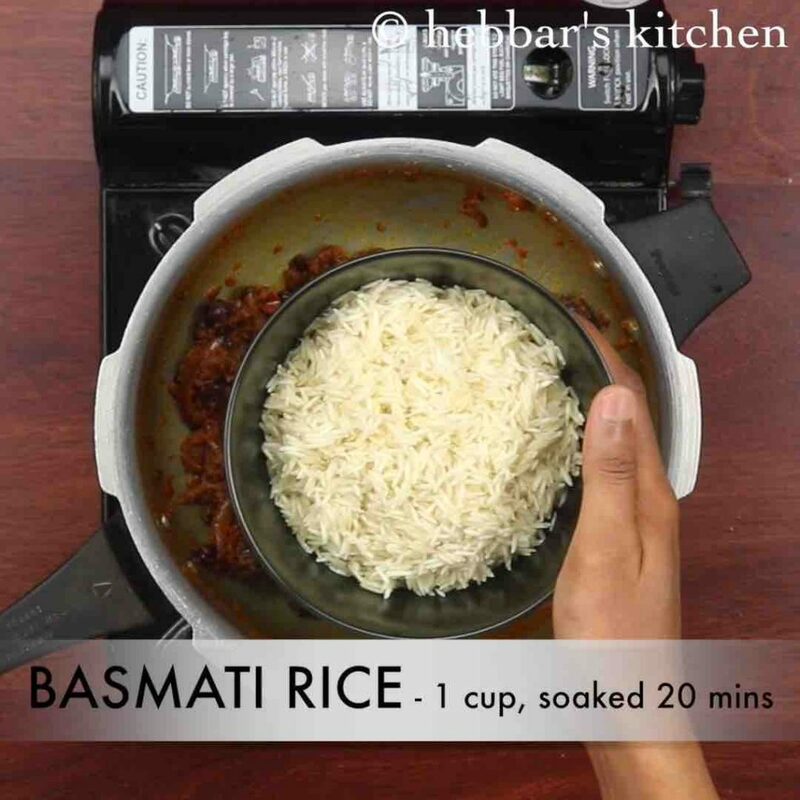 it is a one pot rice recipe, ideal for lunch boxes or tiffin boxes, can be prepared within minutes in jiffy during those busy mornings. it can be served with vegetable salad or simple raita, but also tastes great with mirchi ka salan. 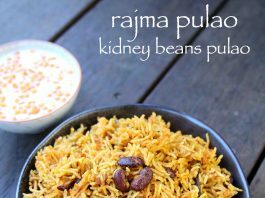 rajma pulao recipe | kidney beans pulao | rajma beans pulao with step by step photo and video recipe. basically it is an extension to the popular rajma chawla recipe and perhaps tastes even better than it. 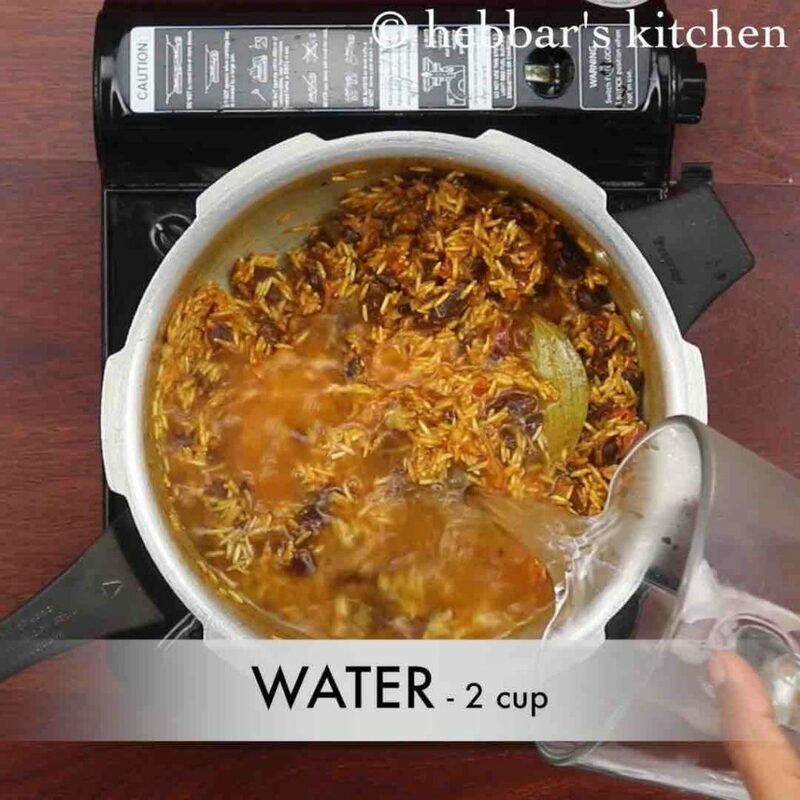 it can be easily prepared in your rice cooker or even with prestige cooker by mixing the soaked rice and kidney beans with herbs and spices. one of the biggest challenge for me during weekdays is my husband’s lunch box recipes. 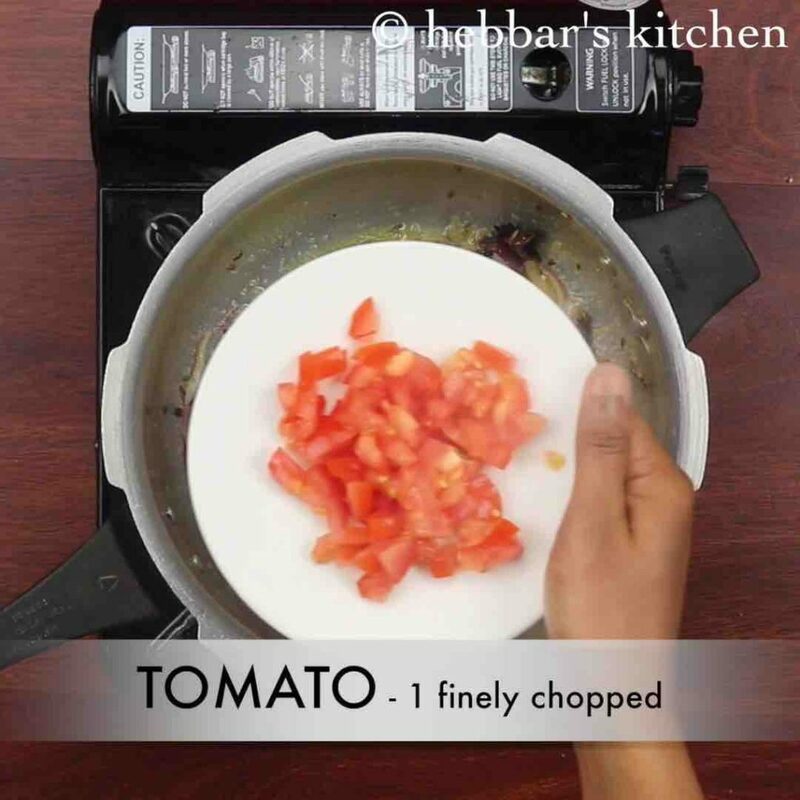 i do not like to prepare it overnight and i typically prepare it in the morning, so that it remains fresh and flavourful. but it can be overwhelming especially those days when he has to leave early for his morning meetings. on those days i fall back to such easy and quick one pot rajma pulao recipe, which is not only tasty but also filling and nutritional. the best part is it can also be varied by adding choice of veggies. i even do not add any veggies and prepare with just kidney beans, rice, herbs and spices. furthermore, some easy tips and variations while preparing the rajma pulao recipe. firstly, i heavily recommend to soak overnight and boil the rajma with water for minimum of 10 minutes before mixing with rice. otherwise, you may taste kidney beans raw and pale. secondly, i have not added any veggies to this pulao recipe but you can easily extend it by adding peas, carrots, gobi and potatoes. lastly, i have used canned kidney beans in this recipe and hence i have skipped the soaking part. 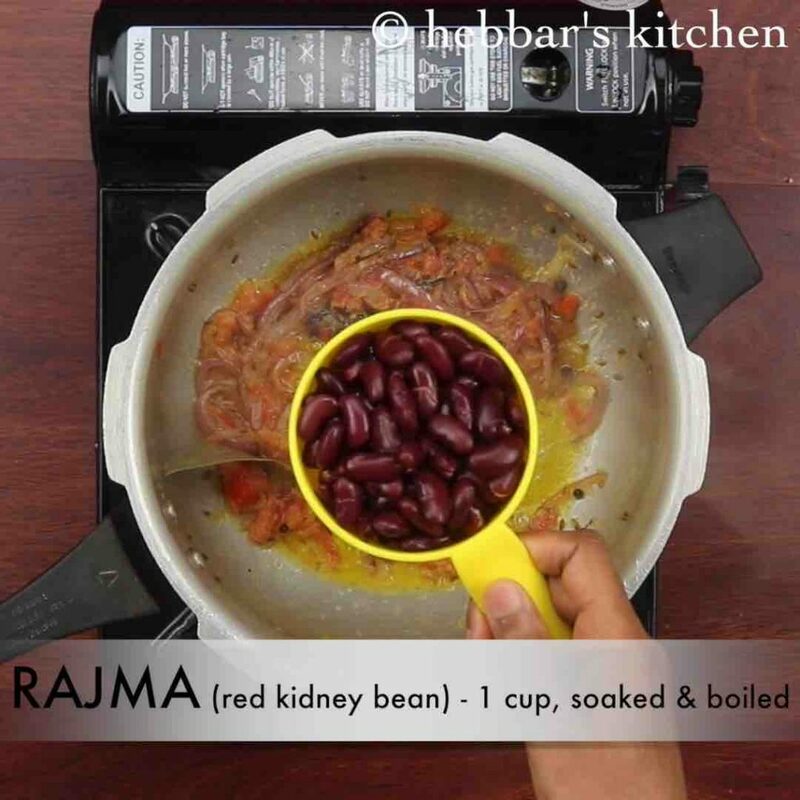 you can use the dried rajma and soak it overnight before using it. 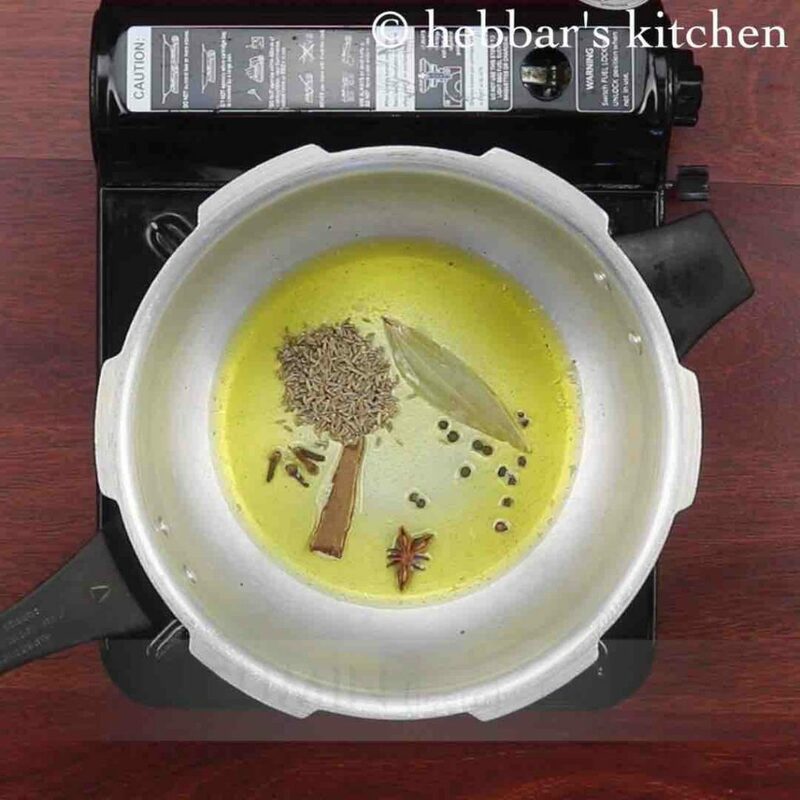 firstly, in a pressure cooker heat 1 tbsp ghee and saute 1 bay leaf, ¼ tsp pepper, 1 star anise, 1 inch cinnamon, 4 clove and 1 tsp jeera till they turn aromatic. 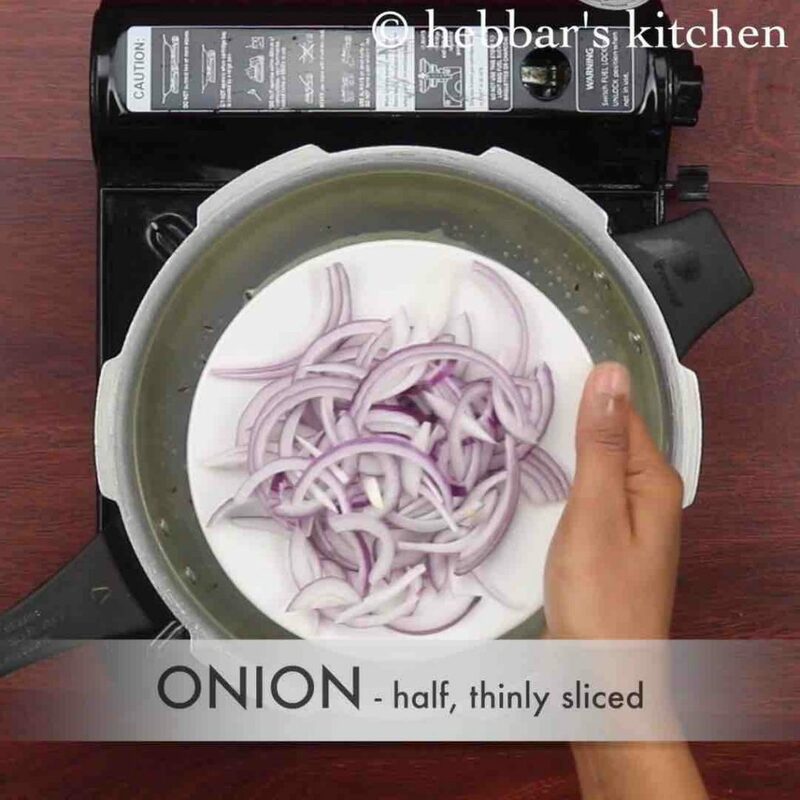 also saute ½ onion till they turn slightly golden. now add 1 tsp ginger garlic paste and saute well. now add 1 cup rajma (soaked overnight and boiled for 10 minutes) and saute for a minute. further add spices and 1 tsp salt. 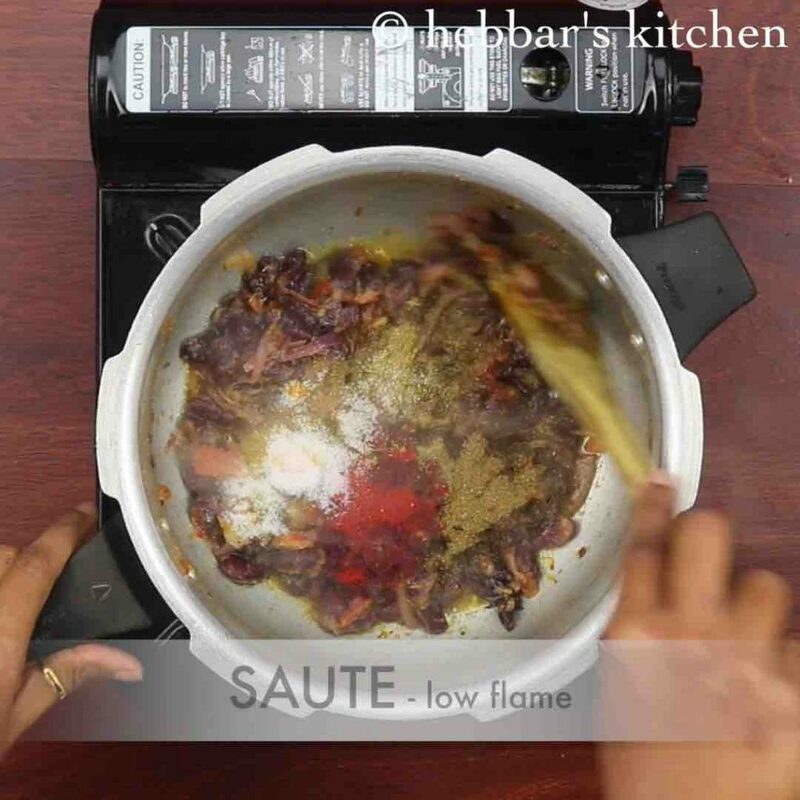 saute on low flame. add in 1 cup basmati rice, soaked 20 minutes and saute for a minute. now add 2 cup water and 2 tbsp coriander leaves. stir well. cover and pressure cook on medium flame for 2 whistle. 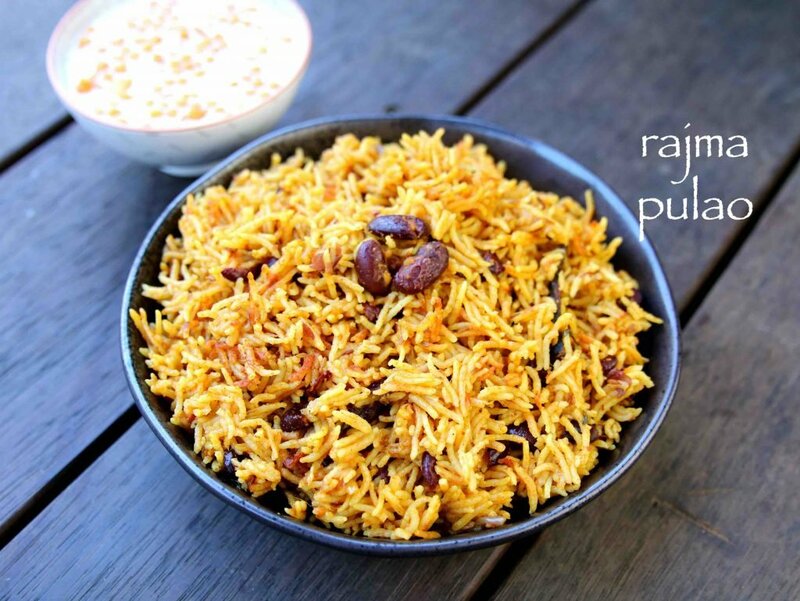 finally, serve rajma pulao with raita or pack to your lunch box. 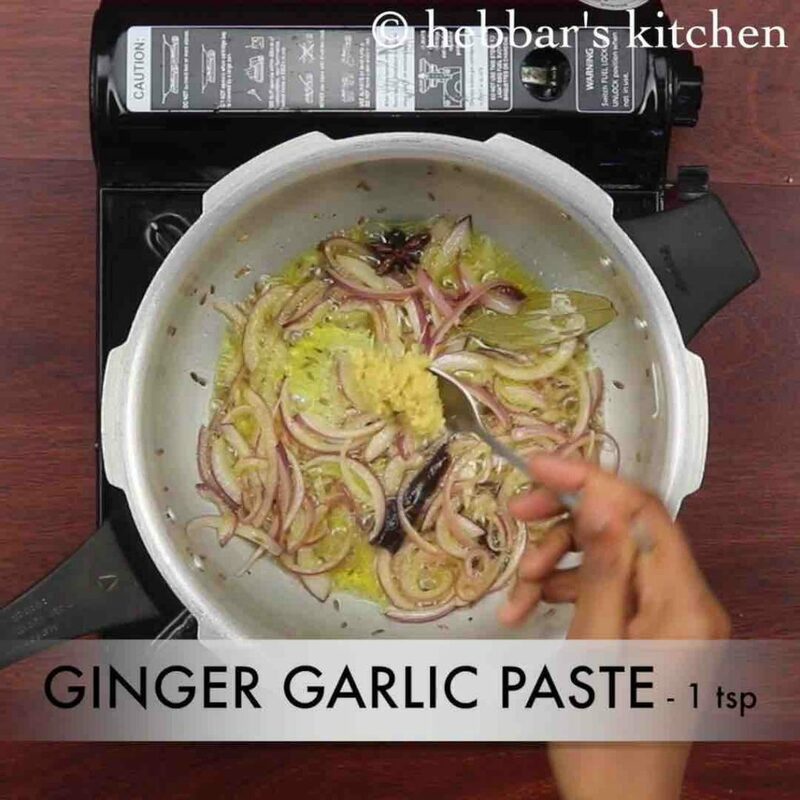 further add ¼ tsp turmeric, 1 tsp chilli powder, 1 tsp coriander powder, ½ tsp garam masala and 1 tsp salt. saute on low flame. 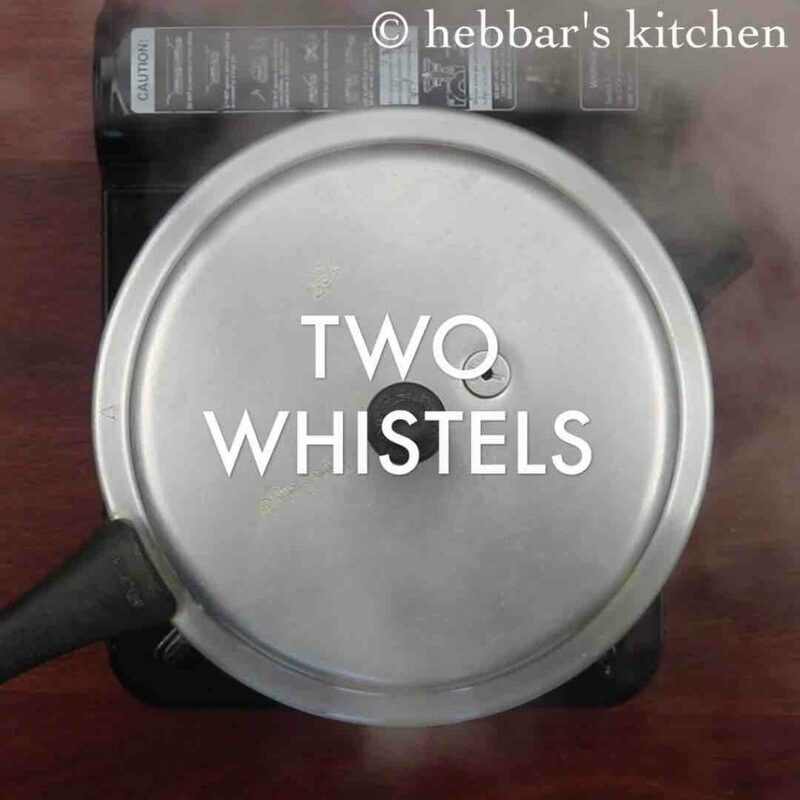 cover and pressure cook on medium flame for 2 whistles or till rice gets cooked completely. firstly, if using canned kidney beans or rajma then no need to boil for 10 minutes. also add vegetables of your choice to make pulao more healthy. additionally, pressure cook on medium flame for 2 whistles. finally, rajma pulao taste great when prepared with basmati rice. Can I replace rice with Dalia or broken wheat?